Barrier Sheath Cleanser gently softens and loosens hard smegma naturally and safely. Made using very mild vegetable surfactants and purest lanolin. The lanolin naturally softens and loosens hard and sharp smegma, which can build up inside the sheath. Vegetable surfactants clean away any debris without removing natural bacteria. 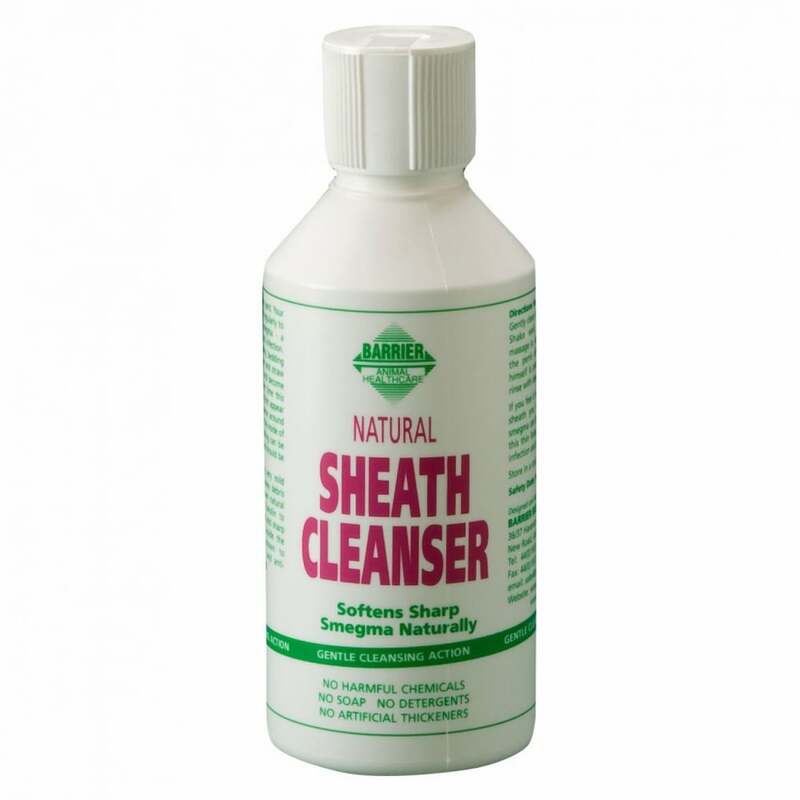 A horses sheath should be cleaned regularly to prevent build up that can result in infection.